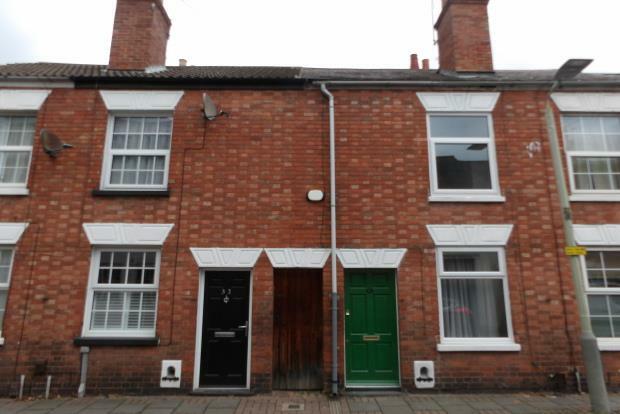 2 Bedroom House To Rent in Loughborough for £600 per Calendar Month. Frank Innes are delighted to welcome this lovely two bedroom house filled with character and history to the Loughborough lettings market. The property is situated right in the town centre of Loughborough within walking distance to all of the local amenities including shops, bars, restaurants, Queens Park and the library. The front door opens into a bright and spacious lounge with feature fireplace and exposed beams. The spacious kitchen also with exposed beams has an electric oven and electric hob and also has a space and plumbing for a washing machine. The back door leads out to the paved/lawned rear garden which is also accessed via a shared alleyway at the side of property. There is also a cellar offering plenty of space for storage. To the first floor there is a bright and spacious double bedroom to the front of the house with a feature fireplace, a further double bedroom to the rear with built in cupboard for additional storage/wardrobe space and a BRAND NEW three piece bathroom suite with a new shower over the bath. Externally the property has on street permit parking and an enclosed rear garden with patio and lawn and will also have a shed provided. The property benefits from gas fired central heating. This house has has been renovated to an extremely high standard and has to be viewed to be fully appreciated so call Frank Innes NOW to arrange a viewing!